Labuan is a midshore jurisdiction which offers great flexibility to foreigners who are interested to set up an International Business in Malaysia! Besides 100% foreign ownership, the low and flexible tax regime, Labuan Company owners can apply for two(2) years renewable multiple entry work permit for all directors and expatriates together with their spouse and children under age 21 with an option to stay in Malaysia (West Malaysia and Labuan). Malaysia offers peaceful and stability country with an affordable cost of living for you and family! 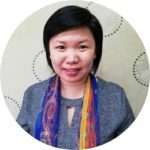 Feel free to stay in Malaysia and do your International trades! 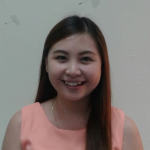 Understand the Advantages of Labuan Work Permit! 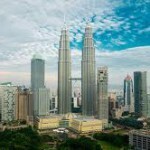 For those who are not residing in Malaysia, the 2 years’ multiple entry Labuan Company Work Permit visa able to facilitate your entry in and out of Malaysia conveniently to facilitate business meetings, opening of bank account which now required valid visa for cheque signatory person and banking matters. The Labuan Company Work Permit also comes with multiple entries for your convenience, without the need to apply for any visa from Malaysia’s consulate/embassies for your visit to Malaysia. Under the Malaysia Immigration law, foreigners with a tourist visa are not allowed to perform any business activities. Our comprehensive immigration solutions include due diligence and profiling of documentation to ensure all applications are in order prior to submitting to relevant authorities for approvals and to ensure your Labuan work permit visa is endorsed successfully. The application for the 2 years’ Labuan Work Permit involves two approving authorities ie Labuan Authority and Immigration Department. 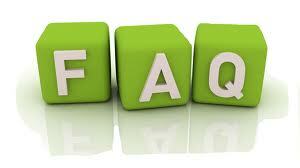 We process the application for both approvals, often within 30-45 days. 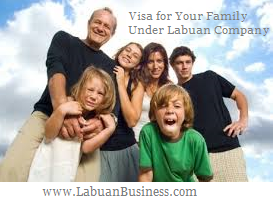 After the approval of Labuan Company Work Permit, you and your family are required to be in Labuan for a day trip for Labuan Immigration meeting and stamping of visa onto your passports. Flying from Kuala Lumpur to Labuan only takes 2 hours 15 mins by Malaysia Airlines or Air Asia. We will arrange your arrival, give guidance in the Immigration meeting session to ensure smooth endorsement of your visa. There is an immigration check point at Labuan airport, Kindly bring along your air tickets departing Malaysia for verification. The meeting with Immigration in Labuan only applicable for the first timer. For onward renewal of visa, it is not necessary to fly to Labuan for stamping of visa unless a special request by the Labuan Immigration Department. For all compliance of your Labuan Company and visa matters, we can serve you conveniently in Kuala Lumpur at our Marketing Office at Plaza 138 @ Maya Hotel (opposite KLCC). Is it a must to meet the Immigration Department for the endorsement of visa in Labuan for the first time? Yes. Under the Immigration Act, applicants required to be present at Immigration Dept and if required there may be interview during the stamping of visa. For onward renewal, we will process the visa endorsement on your behalf, without a need to present in Labuan. Who are eligible for the Labuan Company Work Permit? All directors and qualified expatriates are eligible to apply with proposed positions that support the nature of business activities, hence Business Plan is one of the required documentation to lodge. All approvals of Labuan work permit are solely at the discretion of the relevant authorities and may change from time to time, please get the latest information from us prior to the application. Under what circumstances my Labuan Company Work Permit cannot be renewed? It will have complications in the renewal of your work permit if the compliance on your Labuan Company’s statutory record and information, yearly fees and taxation records of your company and personal are not updated with the relevant authorities. Any criminal offense may also affect the renewal. As your Trust Company, we can assist you and ensure all compliance is met with regular communication with you. When can I apply to include my parents? You can apply together with your dependents (spouse, children and parents) after your 2 years’ Labuan Company Work Permit is approved. 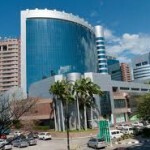 Note that the parent’s visa will be issued for yearly basis. When should I renew my Work Permit? Six months before the expiry. Where can I be eligible to stay in Malaysia with my Labuan Company Work Permit? 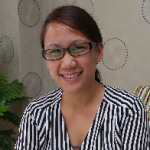 West Malaysia and Labuan as long as Labuan residential address is engaged. Can my children study in Malaysia’s international school? Yes, most international schools are able to accept Labuan work permit. Feel free to contact us at +603-2783 9191 or email us at contact@labuanbusiness.com. We “simplify the complexities” of your Labuan International Company!